Vinnie Hines has released his brand new music video for “The Riddle.” Check it out below, and catch Vinnie by following him on Facebook and Twitter. Hint: You’ll want to check back this spring/summer…. Midwest singer-songwriter Vinnie Hines has just announced he will release his new music video for “The Riddle” on March 27th. Check out a teaser image below, and in the meantime take a listen to “The Riddle” or purchase on iTunes here. 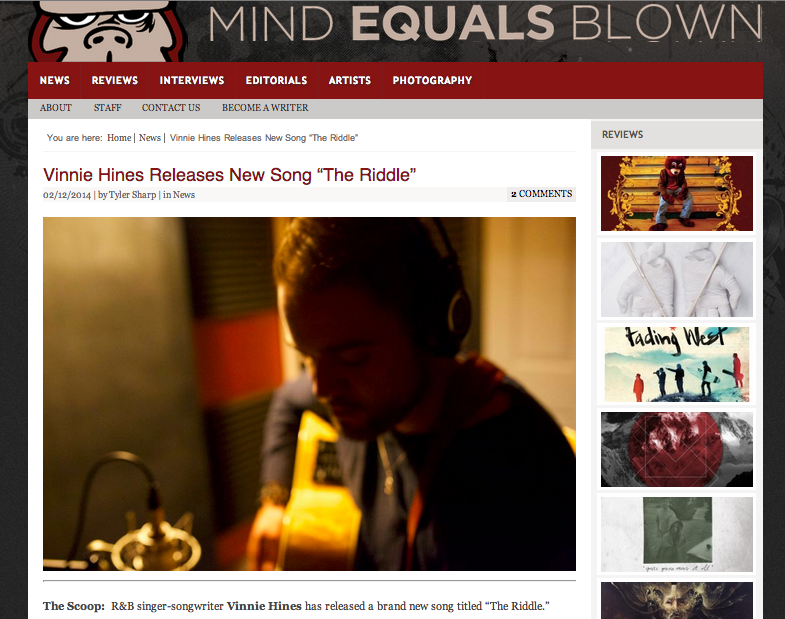 Mind Equals Blown give fans the scoop and the spin on Vinnie Hines’ latest release, “The Riddle.” Check it out, along with a teaser video right here.